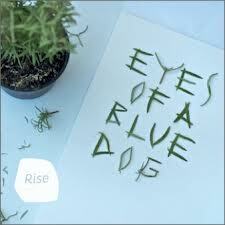 Eyes of a Blue Dog are Rory Simmons (trumpet/guitar/electrons), Terje Evensen (trumpet/electronics) and Elisabeth Nygard (voice). The off-the-wall exoticism recalls Bjork, but the playfulness and charm of the original, alas, is replaced by unappealing earnestness which could become known as Eyes-of-a-Blue-Dogmatism. ACV take some of the uglier features of fusion - the shrill guitar, disassociated funk rhythms etc - rein in the excesses and somehow rearrange into beguiling shapes and novel structures. They turn on a hair between rarified and pell-mell and constantly dash the listeners' expectations. Bassist Andy Champion is a musical magpie and innovator all at once. His compositions - he wrote all but one of the compositions - are unpredictable and oddly beguiling. Those who only know Chris Sharkey through his work with trioVD may be surprised at the restraint of his production here. I shall be replaying to this one. 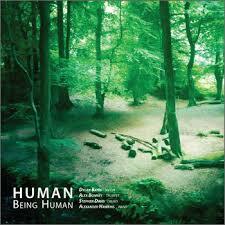 Tracks 2 and 4 ('Being Human' and 'I Am A Planet'} are credited as group improvisations, whereas the other four tracks are compositions by drummer Stephen Davis. It says much for the spontaneity and freshness of the playing that you can't tell them apart. The album rests on the chalk and cheese qualities of the violin and trumpet combination, as performed by Dylan Bates and Alex Bonney respectively. Pianist Alexander Hawkins surrenders his virtuosity to the demands of the free. I was reminded of the New York Eye and Ear Control experimentalism of Albert Ayler. Fifty years on, we might almost be ready for it. Tatterdemalion are a trio comprising Rachel Musson on saxophone, Liam Noble on keyboards (more electric and electronica than acoustic piano) and Mark Sanders on drums. All the tunes are completely improvised, played with the authority of experienced spontaneous composers. Not for Tatterdemalion the reticence of the polite and green free jazzer: the "I'm not ready for this yet" approach that has given British free such a bad name. Some exploratory noodling is inescapable in these conditions, but what there is is soon jettisoned in favour of full force blowing. Musson's convulsive sax and Sanders' galvanic pulsing, not to mention Noble's twittering eccentric keys, are as exciting as free jazz gets. Not what I was expecting. 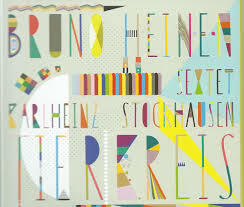 Mention of the name Karlheinz Stockhausen is apt to give rise to mixed feelings. The heart leaps at the thought of all those expanding boundaries, and simultaneously sinks at what this might entail in practise. 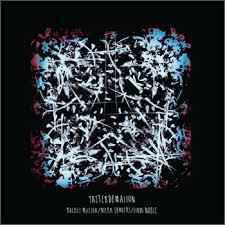 In fact, Tiekreis contains some of the most accessible and attractive music in this batch of Babel. It starts with a beautiful solo piano piece,'Aries', and proceeds with the positively groovy 'Taurus', where the oblique melody is adorned with gospel cadences, with distant echoes of township jazz. Things began tinkly, and get even more tinkly by the end, but there is a rational explanation: Stockhausen's Tierkreis was originally composed for twelve musical boxes. These tunes, based on tone rows and named after the signs of the Zodiac, have been variously re-arranged and re-harmonised by Bruno Heinen for combinations of his Sextet, notably Fulvio Sigurta on trumpet and Tom Challenger on tenor sax. 'Virgo' is Sigurta's set-piece, and this distillation to the essence of trumpet, piano and music-box sores on both sensitivity and economy. Challenger most obviously affirms traditional jazz values, and 'Gemini' is as lush and moody as anything by Stan Getz: 'Scorpio' even manages to fit a Blue Note square into a Stockhausen circle. Overall, Tiekreis points the way out of the cul-de-sac of head-solo-solo-head of jazz orthodoxy. The tunes might have been composed according to a rigid theory but they supply rich emotional fuel for these great players: I might also mention James Allopp on bass clarinet, Andrea Di Biase on bass and Jon Scott on drums, who gets to duet with a music-box on 'Libra'. 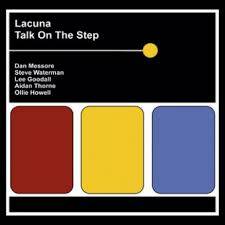 A fresh sound in the whole, comprised of fresh individual voices such as Steve Waterman's trumpet, which sometimes evokes Miles but also casts back to the burnished grace of Clifford Brown, and mult-instrumentalist Les Goodall, delightfully flitting in a jazzy way on flute and more imploring on alto. The language is bop in essence but some subtle de-contextualism is going on by Dan Messore, who brings a flamenco tinge with his compositions and languid, liquid guitar. At times the interaction errs on the cluttered, as in the ensemble bits of 'Mariposa', the opening track, but then the music calms and opens up to space and light (one of the best pieces is called 'A Bit of Light', shows musicians A joy, and not difficult either. Aidan Thorne and Ollie Howell are a rhythm team (bass and drums respectively) in full command of their powers. 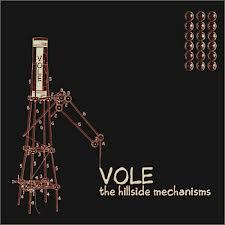 Trumpet, drums and guitar trio (Roland Ramanan, Roberto Sassi and Javier Carmona respectively) Vole operate in the two accepted jazz modes - improvisation and composition. Practically, this breaks down into 1) urgent scrabbling in a sub-trioVD style, and 2) self-conscious squeaking and blurting. Or both at once, as when a hesitant squeak provokes a violent reaction with a drum volley and screams. This gives a bit of a stop-start quality to proceedings, until Vole finally settle for an atmospheric soundscape that expands and expands. Alas, the free and the structured cancel each other out and the atmospheric drift just drags. This kind of viscera tends to work better in the flesh anyway. Freedom is a word whose meaning changes depending on the context. In the musical sense, 'free' is applied to an open-ended kind of improvised jazz, where musicians play without foreknowledge, without the safety-net of strict time or pre-set chord changes. In the political sense, it means a state of liberty, where the citizen is unbound by rules. A few potent pop songs from the sixties evoke that sense of living without limits which is the promise of freedom. I might mention 'Georgy Girl' by the Seekers, 'Ticket to Ride' by the Beatles and 'Summer Holiday' by Cliff Richard. Spaceheads, the duo comprised of Andy Diagram and Richard Harrison, are very much part of the international free jazz community, yet their stuff is very structured, bound by the technology of loops and harmonisers and effects that transforms Diagram's single trumpet into a complete orchestra. And Harrison is the funkiest of all improvising drummers, as much Pretty Purdie as Andrew Cyrille. Sun Radar, the title-track of this 4-track EP, is Bonkers Blaxploitation with gurgling electronica taking the role of wah-wah guitar. The funk of 'Atomic Clock' is urgent and implacable with a touch of dread. So far, so Spaceheads. But I was really hooked by 'Miles to Go', where Harrison's hammering tirade is allied to a melody that could be Neal Hefti or Burt Bacharach. In other words, a throwback to the limitless promise of the sixties, as in definition three above. The fourth cut 'North of the Border' uses drifting chords and echoing beats to set up a sense of expectation, which it then realises with a tune of, well, words are inadequate to describe… Ninja triumphalism? (It sounds vaguely oriental anyway.) In short, it's fab! I love the playfulness of Spaceheads, the way they integrate pop culture into their artful constructions (lots of wide-screen cinema on this one) and the way the transcend the clatter and clutter with the direct simplicity of melody. I love them for the unabashed sense of pleasure they communicate. Their longevity (Diagram has quit and rejoined James a few times during their lifespan) means that the technology they use has passed from novelty to common currency. It doesn't matter; it's what they do with it. Spaceheads, a small and flexible unit, delineate the possibilities of trumpet, percussion and electronica with an endless, inexhaustible imagination. 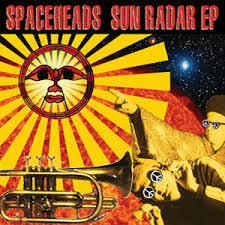 And could the title, Sun Radar be a nod to the gentle genius of avant-garde jazz? Almost certainly. 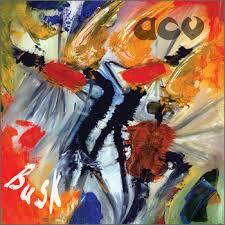 The EP comes in vinyl and CD format; I would plump for the 180 gram sonic majesty of the former.